Ken Block's Gymkhana series has been around for almost ten years - and the latest one is about to drop. Mr Block is quite the marketing genius, he once put together a video that was basically just a little something that would make his sponsors happy, but the action was so good that it quickly went viral, sparking a whole series of amazing videos that have been running for close on ten years now. We caught wind of Ken's latest Instagram post (which is worth a follow) with a short teaser of the next installment; Gymkhana 9. There's not really a lot to see, but more than enough to excite us. Block's partnership with Ford has been great for both of them, and seeing as he owns a competition ready new car, it makes sense that he'd be using that for Gymkhana 9 instead of his Fiesta or his Mustang. 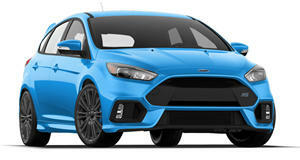 We'd like to see a full gymkhana-style video with his , but that won't be helping generate sales of the current Ford lineup. has been to some pretty amazing locations over the years, . For this new video he hasn't said where it was filmed, but it's been previously reported that it may have been in Buffalo, New York. We'll report back on Tuesday with the all-new Gymkhana video as soon as it breaks.